A Goodreads Choice Awards 2014 Nominee and Amazon Best Book of the MonthLiar, liar, pants on fire . . . College senior Lana Granger has told so many lies about her past that the truth seems like a distant, cloudy nightmare. But she meets her match when she begins babysitting for a volatile, manipulative eleven-year-old boy. Soon after Lana takes the job, her close friend Beck mysteriously disappears. Lana instantly begins fabricating stories - to friends, to police, to herself. Why doesn't her account jibe with those of eye-witnesses? Lana will do anything to bury the truth about that night ... and about her life. But someone else knows her secrets. 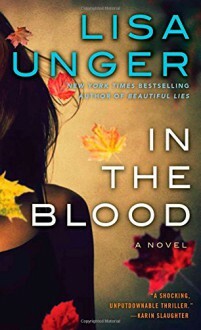 And he's dying to tell.As darkly startling and finely crafted as her blockbuster bestseller Beautiful Lies, Lisa Unger's masterful new psychological thriller is packed with no-holds-barred raw power.